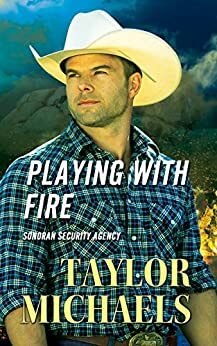 Taylor Michaels writes romantic suspense. A mild mannered marketing professional elbow deep in excel files and emails by day, she spends many nights writing stores where love blooms amidst danger and uncertainty. A self admitted romance novel junkie, she loves the "oh my gosh I didn't see that coming" plot twist almost as much as the happily ever after ending. For more information please go to www.taylormichaels.com. I really enjoy these books but I have trouble getting past the mistakes in them. To wave at someone is spelt W-a-v-e. Not w-a-i-v-e. And to peel something away is p-e-e-l, not p-e-a-l. I also feel like some of the paragraphs are unnecessary and they lack follow up. Stella called Morgan who was too busy to talk and they arranged a dinner date; that dinner date never happened in the book, it just seemed a bit pointless to write in that case. I loved the plot, the outcome and the developing relationship between the main characters and I look forward to seeing the author grow. I love the way this author writes. She keeps the action going, holding your interest, then pops a surprise ending. I would recommend it to any one, but may I suggest you read Someone to Watch Over Me, the first in this series of two. This book kept your interest from the first . As the book progresses different events take place so that you never get bored with it. I liked the book thought that it kept your interest and had a twist at the end. Engaging characters and interesting plot, trying to get to the bottom of an arsonist's plot. I would be very interested to read other stories in the Sonoran Security Agency series. 5.0 out of 5 starsAnother fabulous book in the Sonoran Security Series! A MUST READ. What a great book...! It takes a lot for me to actually finish any book I start .. if it's not interesting... well it gets deleted ASAP or dropped off at Goodwill. I found PLAYING WITH FIRE to be even better than the first book in the Sonoran Security series ( Someone to Watch Over Me). With all the twists and turns a good suspense/mystery and thriller should have with just the 'right amount' of romance. The author makes you feel as though you're standing right to Matt and Stella ! Being a 'horse nut' there was just enough of that to keep me sucked in and interested. A really fabulous read & looking forward to #3 in the Series.